Not too long ago a friend of mine asked me to help her make creeper shirts for her son’s Minecraft themed birthday party. 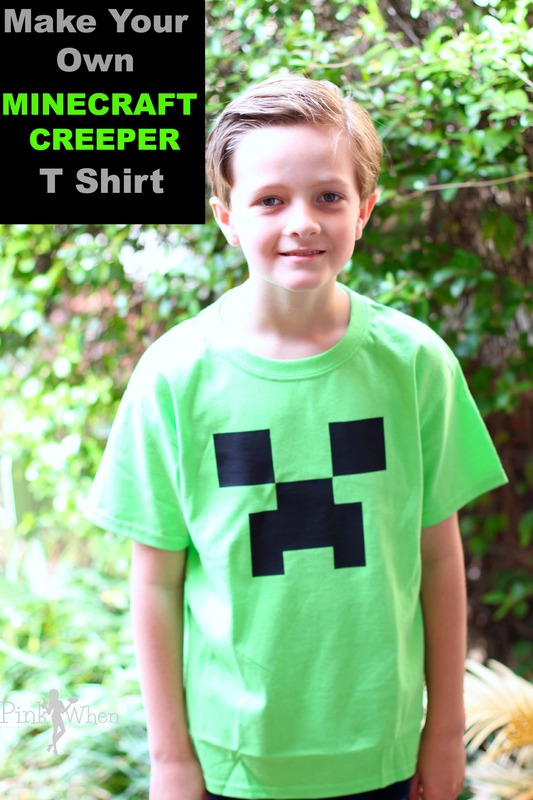 All of the party goers were to receive a creeper shirt so they could be recognized at the party location. 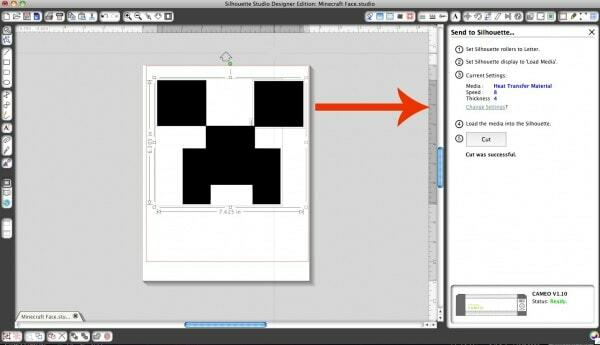 I was pretty sure this was an easy craft, so I set off to create a creeper face in my vinyl cutting software, and before long we had 20 Minecraft Creeper shirts. 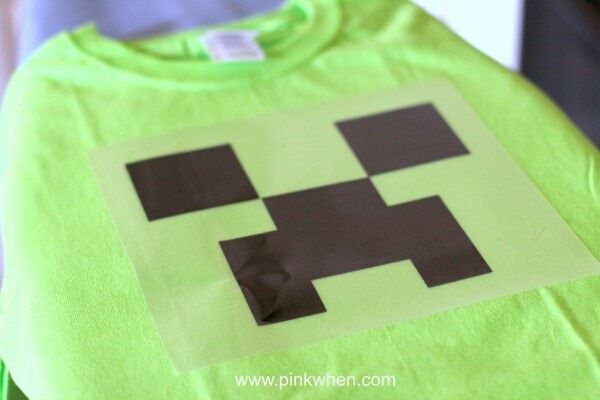 With our soon to be 9 year old son having a party soon, I decided to share with you my this Minecraft Creeper Shirt Tutorial. You can create these shirts a few different ways, but for a cleaner look I decided to go with the vinyl cutter and heat transfer. 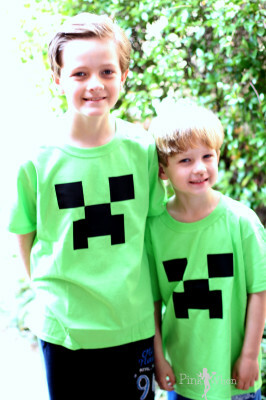 The Creeper Shirt. 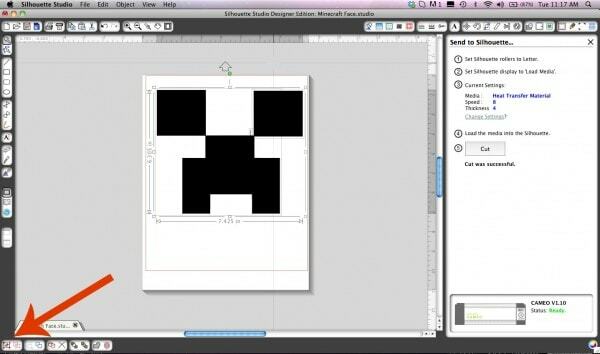 This was my very first Minecraft craft (say that 5 times), but it was also a super easy craft to tackle. The first thing I did was create the creeper face in my Silhouette Design program. 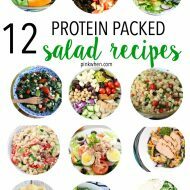 I just grabbed boxes from the left sidebar and then set out to create the design. I wanted to create this to be large enough to cover the front of the shirt, so for the height I am at 6.3″ and for the length I am at 7.425″. Once I had all of my boxes created, I then selected the grouping option so that I could have them all together. 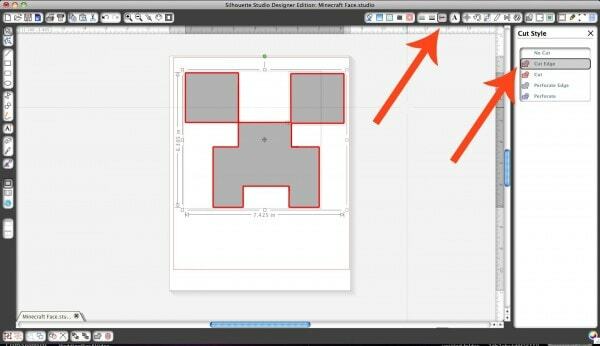 Once you have the cut style set, set your cut settings and insert the heat transfer material to be used. Then hit CUT when you are all set and ready to go. 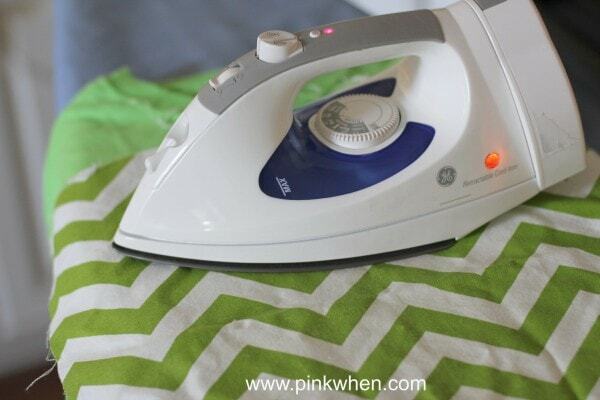 Once the vinyl has been cut, weed away the additional heat transfer and then place on the shirt to iron. Place a thin cloth over the heat transfer, and then iron with pressure (no steam) until the transfer has completely been placed on the shirt. This is such a fun and easy tutorial, I did both of these shirts in under an hour. 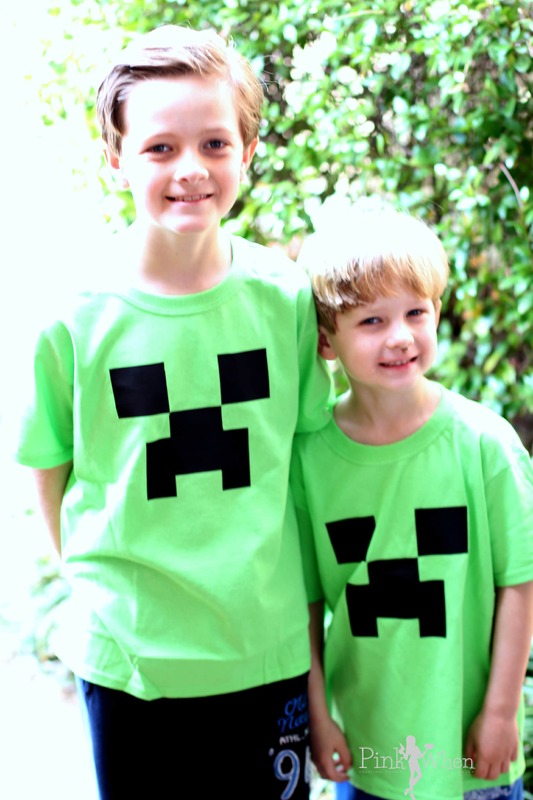 Do your kids love Minecraft as much as mine do? It’s so popular, the kiddos are always building, playing, and having fun. Even the toddler likes to watch them build. Now that the boys have their shirts, they are super excited to wear them and show them off. I hope you enjoyed this Minecraft Creeper Shirt Tutorial, and let me know if you make any!